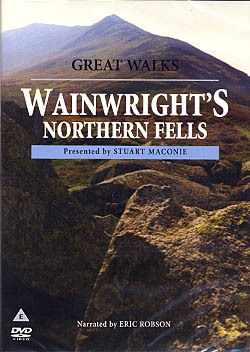 When Wainwright published his Pictorial Guide to the Northern Fells in 1962 he dedicated it to those who travel alone, to the solitary wanderers on the fells who find contentment in the companionship of the mountains and of the creatures of the mountains. Format : PAL DVD. Running time approx 80 mins. On June 7th 1930 a young Alfred Wainwright set off from Blackburn on his first visit to the Lake District. Format : PAL DVD 58 minutes approx. 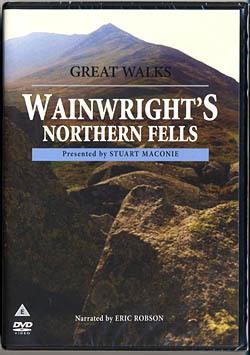 Julia Bradbury explores more of Wainwright’s favourite routes. Helvellyn via Striding Edge, Catbells from Hawse End, High Street from Mardale Head, Bowfell and Crinkle Crags from Langdale, Helm Crag from Grasmere and Pillar from Black sail. Format : PAL DVD 174mins. approx. 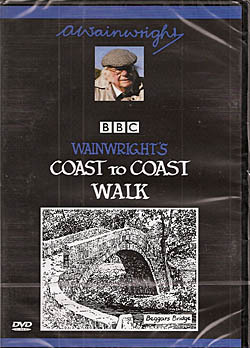 BBC Four’s Wainwright Walks – Coast to Coast is yet another stunning series produced by Skyworks. Format : Pal DVD 165 minutes approx. 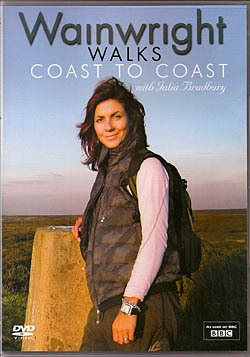 Julia Bradbury follows in the footsteps of Alfred Wainwright in this wonderful series featuring stunning aerial footage. 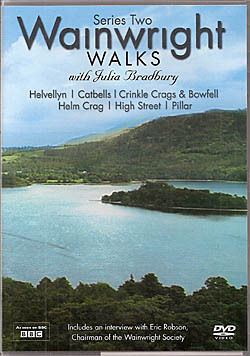 Using Wainwright's 'Pictorial Guide to the Lakeland Fells', Julia discovers the treasures of the Lake District. Travel with Wainwright and Eric Robson Coast to Coast passing through the Lake District, Yorkshire Dales, and North York Moors on his most famous long distance walk from St Bees to Robin Hood’s Bay which attracts more than 40,000 walkers a year. Format : PAL DVD 113mins. approx. 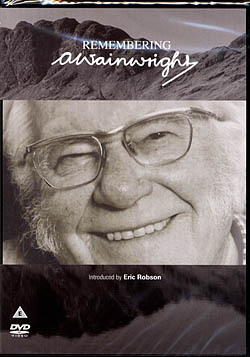 Spend time in the company of Britain’s most famous and influential fell walker – Alfred Wainwright. 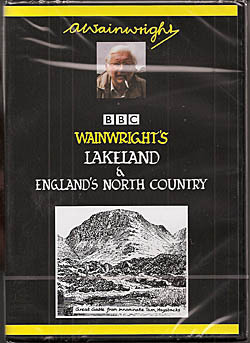 Two BBC television series combined on one DVD. Taking us to Forrest Head and Kendal, Haweswater, Borrowdale and Haystacks. Also Penyghent, Teesdale and the Howgill Fells. Format : PAL DVD 143 mins. approx. 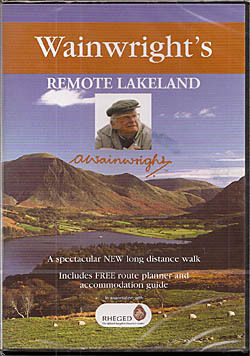 Alfred Wainwright’s fell - walking companion Eric Robson (and his dog) take on one of the greatest long distance walks in Britain - 190 miles and 39,000 feet of ascent in 14 day stages which take us through the spectacular outlying fells of Lakeland. Format : PAL DVD 150 mins. approx.